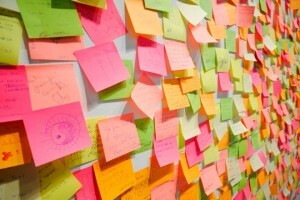 I love post it notes and I used them like crazy when I taught. I would put one on a stack of paper with GRADE THESE on it and I felt like I had accomplished something. As a quilter I use them but I haven't begun to tap their potential. 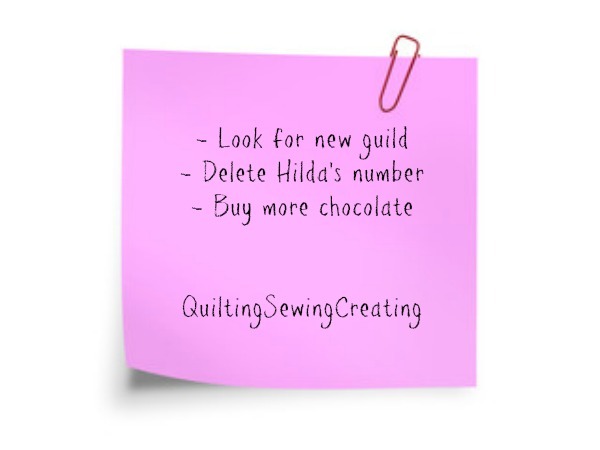 I was trying to imagine how to best utilize my healthy supply for Quilter Post it notes. I don't want to go crazy and have my studio look like this. But now that I have numbered pins, I do use less of them. I write notes on them and reminders. 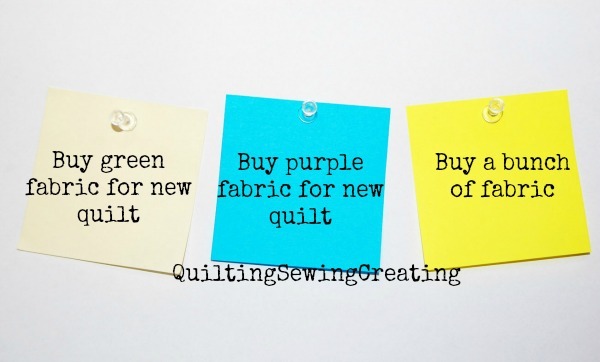 Isn't there a more creative way to have fun Quilter Post it notes? 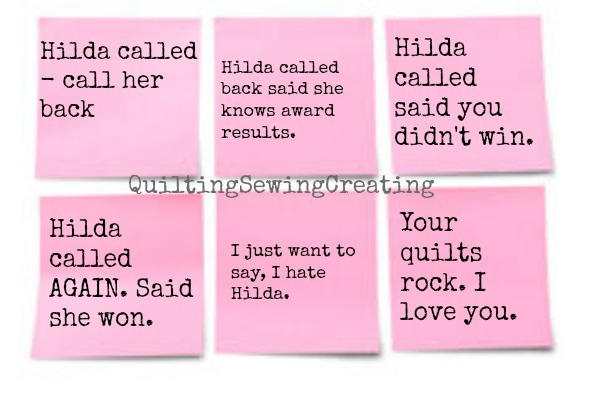 How about if I create some pretend notes to quilters that have been written on post it notes? I think that could prove to be amusing. 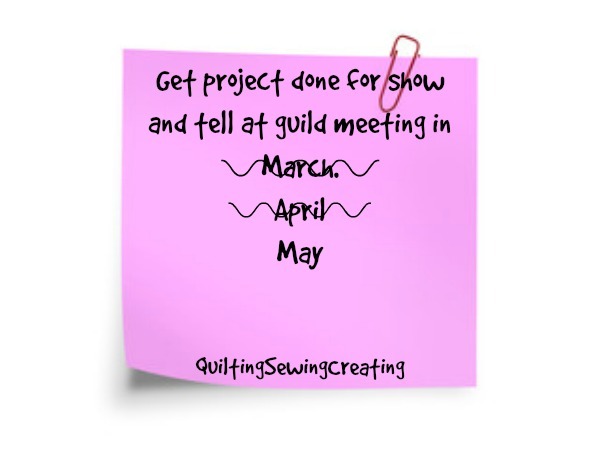 Hang out for some phony notes that have been posted to you, by you or other quilters. 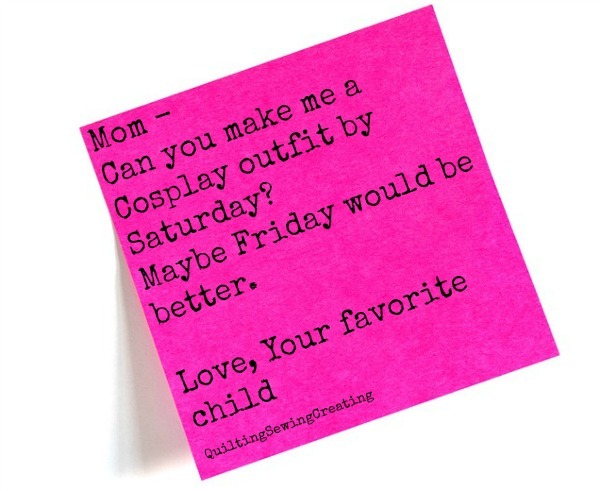 You have to be flexible with your post it note goals. It's always good to have extra post it notes on hand. Sometimes people leave YOU notes on post it notes. Sometimes there is less drama but more pressure on a post it note! I like leaving myself notes. This way I will have more energy to sew tomorrow. If you like my attempts at humor, check out this post.